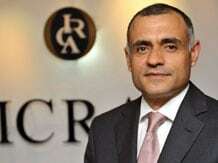 Naresh Takkar, managing director & group chief executive officer of ICRA will now be a part of the external advisory committee (EAC) that will evaluate applications received for payments banks. This reshuffling comes after Roopa Kudva, former MD & CEO, CRISIL, withdrew from the committee, Reserve Bank of India (RBI) said in a notification. This EAC is being chaired by Nachiket Mor, director, Central Board of RBI. Apart from Mor and Takkar, Shubhalakshmi Panse, former chairman & managing director, Allahabad Bank, and Deepak Phatak, chair professor, IIT Bombay, are a part of the committee that was set up in February. The EAC is required to evaluate the applications received for setting up of payments banks and thereafter needs to make their recommendations to the regulator. RBI had received 41 applications for payments banks earlier this year. According to the guidelines issued by RBI in November, payment banks can accept demand deposits subject to a cap of Rs 1 lakh a customer and provide payment and remittance services through channels such as internet, branches, business correspondents and mobile banking. They, however, cannot offer credit facilities directly but can act as an agent of a commercial bank for credit and other services.